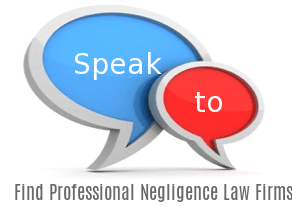 The solicitors offering Professional Negligence help are shown on the map below. Click on any pink pin to see more information about the firm at that location. You can Zoom in and out, or use the Postcode search box on the right. [snippet ...] Particularly, specialists have been held to have expected an obligation towards the inquirer, ie in circumstances comparable to a holding a store in the interest of both sides of a debate pending its determination.